Then there’s our new 5-Axis, 50’ machine. Because with 5-axis CNC machining, max size does matter. In high-precision aerospace tooling, it’s not enough to simply have the proper equipment the job requires. 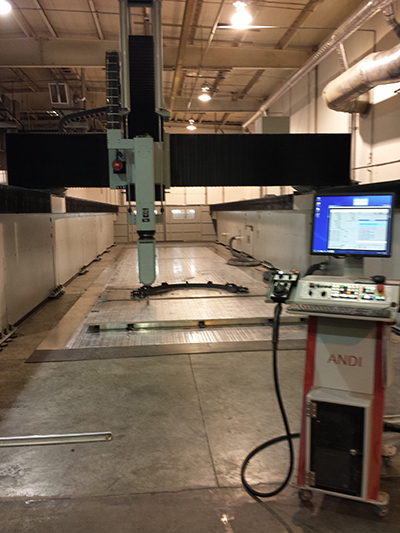 Sure, we’re proud to offer our new 5-Axis 50’ CNC along with a second 10’ machine and two 3-axis CNC Mills (5’ and 10’). But equipment is only as good as the expertise and talent behind it. At Leading Edge, our professional Programmers and Designers also have experience as tool builders and machine operators. So, the same dedicated people who design and program can also build and operate. It’s just how we think. Need a 50’ tool? 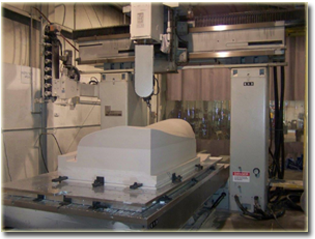 Leading Edge Aerospace’s new 50’, 5-Axis CNC machine is ready. Using Mastercam® software, our CNC Programming Department provides 3- and 5-axis programming, solid modeling, tool design and reverse engineering services to general aviation and large air frame manufacturers that span the globe. Working in Catia? We can convert to and from Catia and nearly any native CAD language. Ready for a 50’ tool? Just give Ben Johnson a call at 316-942-1301, or email him. He’d be glad to “talk tools” with you about your next project.